Though freelance translators and interpreters make up the bulk of linguists in EU institutions, translators and interpreters can also apply for and be recruited for a full-time position within these institutions using an exam taking place in June / July of every year. Apart from linguistic skills, candidates also need to show abstract, verbal and numerical skills. The exam could include a translation and interpretation exercise, a group exercise, an interview and a case study. 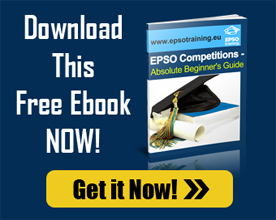 Passing this EPSO exam would make the candidate eligible for full-time employment as the interpreter in any EU institution.